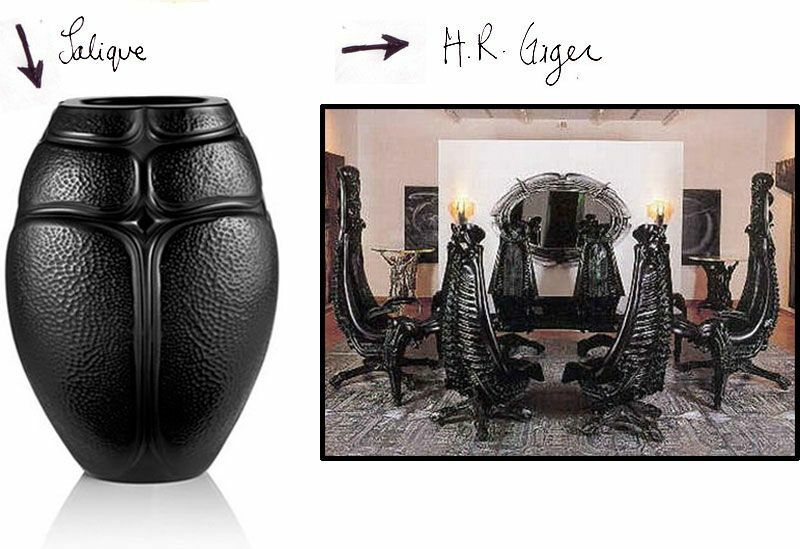 (IN)DECOROUS TASTE: Giger + Lalique = Chic? 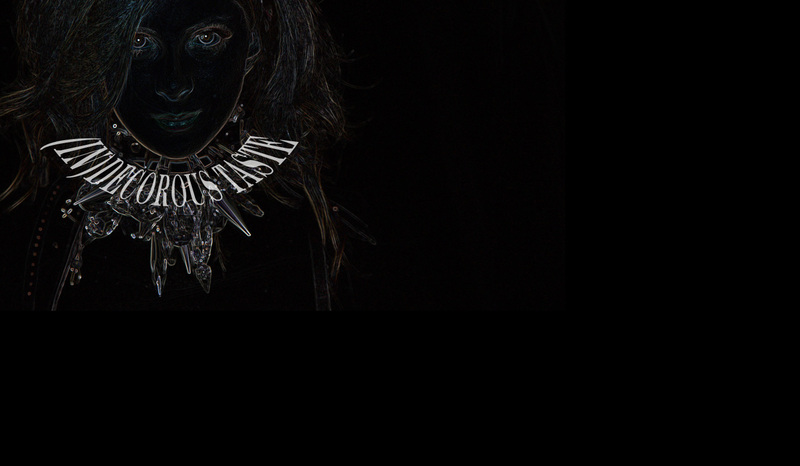 Lalique meets Giger? Think: Cleopatra makes a guest appearance in Alien. Left: Lalique Scarab Vase, Lead Crystal, $1,190.00 at NM. Right: H.R. Giger's Harkonnen Chairs, designed for a production of the sci-fi novel Dune in the 90s (but never used), now available through Miles & Generalis. Approx $15,000.00/chair. Hey chica...Thanks for the link and the blog visit. Wow. Those chairs are pretty cool. Great post! Those chairs are out of this world! Such an awesome vase - This post makes me want to catch a spaceship to Zurich, and order all my drinks with dry ice in them. wholly molly, those chairs are insane!!! seraph + splendor- Yes, a full dining set of these would be QUITE the expense. But imagine the look on your guests faces when you seat them!!! jasonwclark-Thanks! Just took a look at your drawings, they're AWESOME. Thank you for the comment on my blog! You have a great eye for details, your blog is so lovely. The dining chairs' design look like it's taken from an alien spacecraft that crash landed here. Those are wicked, so is the price of $15,000 for each chair. Has anyone actually purchased it?